Of course there are some exceptions. The Jewel in the Crown, is naturally one such. And, I discovered on Friday night, so is Australia. This outpost of the British Commonwealth, that still recognizes Her Majesty as the Head of State, needs all British Passport Holders to get themselves an entry visa. So the Malaysian woman behind the Document Check counter at the AirAsia terminal in Kuala Lumpur informed me, as she refused to provide me with a boarding pass to a flight to Sydney, where I was in transit, sans any checked in luggage, on my way to Nadi in Fiji. The fact that I would not leave Sydney’s Kingsford Smith Airport, or pass through any Australian immigration, was not sufficient to persuade her. No visa, no boarding pass. Memories of a similar incidence, being turned back from boarding an Air France flight to Nairobi at Heathrow Airport, for not having a transit visa to France while travelling on a Sri Lankan passport, flashed through my mind. 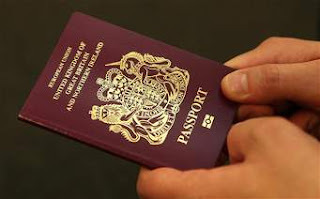 But this was a British passport for goodness sake! The travel document of the privileged! Also contributing to my adrenalin surge was the fact that my friend and I had spent a great deal of money on this South Pacific adventure – and while my friend would be able to carry on with the itinerary being already in Fiji, there were so many flight and hotel reservations that would have to be cancelled or changed. Despite the adrenalin, the turbulence in my mind, and my initial anger with Australia, I managed surprisingly to keep a cool head. The woman at the AirAsia desk had told me that it would take me seven days to get a visa. I decided to check this out before looking at other flight options (which would have severely damaged my bank balance had they even been possible!). Standing nervously at a table at the nearby Starbuck café in KLIA2, I logged into the Australian immigration website. Believe it or not, there was a 20 minute option to obtain a e-visa for entry to Australia. I take it back, Australia, you are amazing! An agonizing 21 minutes later, the visa arrives in my inbox and I was able to show it at the document check counter, get my boarding pass, walk towards the Gate, and be well in time to board the AirAsia flight to Sydney. Phew! Learned the hard way not to take my privilege for granted!